Export Kit allows you to export your entire Photoshop, Illustrator and InDesign documents as a working projects respective of your selected output. 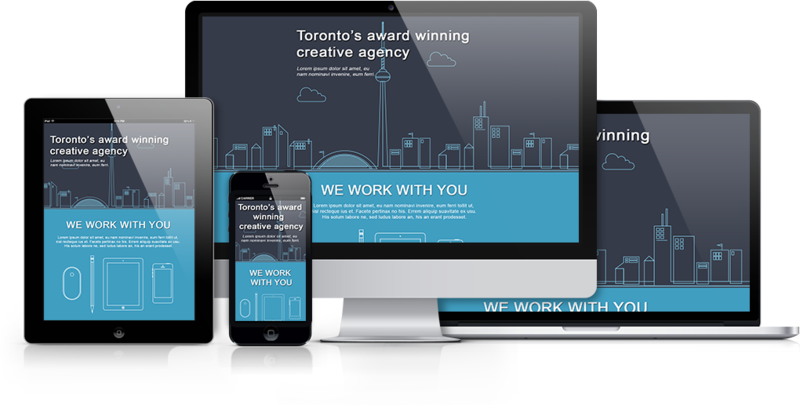 Some projects such as HTML5 work out-of-the-box and can launch with a visual render of your PSD, AI or INDD document right away. Other projects such as Android will require you to have Eclipse or Android Studio installed to load and compile the project. Select your desired Output using the dropdown menu. All Outputs are enabled in the Free Trial, but only Outputs active by Activating Keys will be available after. Once your Output is selected you will have the option to Include Images in your export. 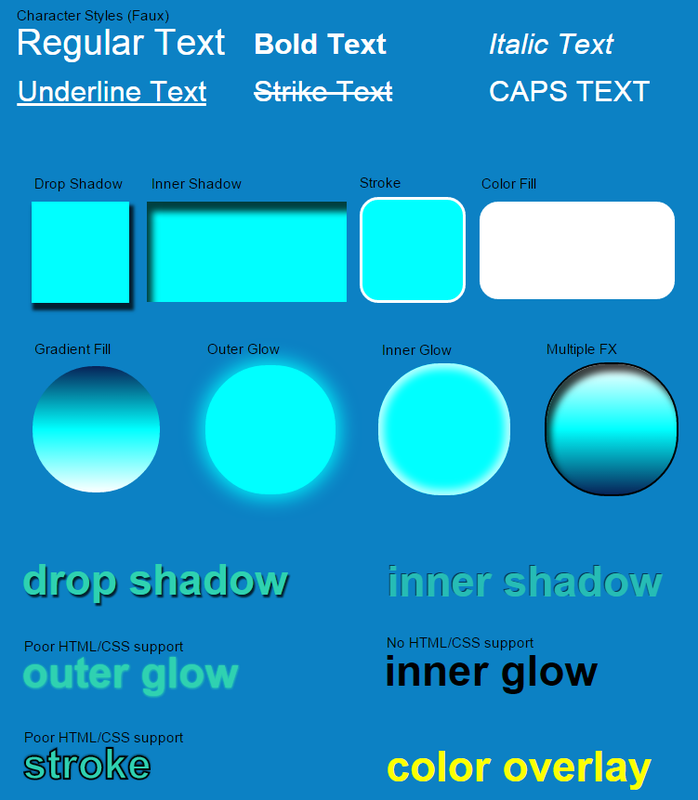 Some Outputs support CSS background images, you can enable this feature by selecting CSS. TIP: Change the image type in your output by clicking PNG, JPG or GIF. Step 3: Export that Kit! Click Export Now when ready to begin the export process and watch the magic. During the Export, DO NOT change the layer contents as the layer may process differently due to the change – the export is a LIVE process. Sit back and relax, enjoy the show! There are two main process methods which occur depending on if the plugin is processing a document or layer, the Layer Process and the Document Process. Learn more about the Export Process to understand how your document and layers are processed during the export. 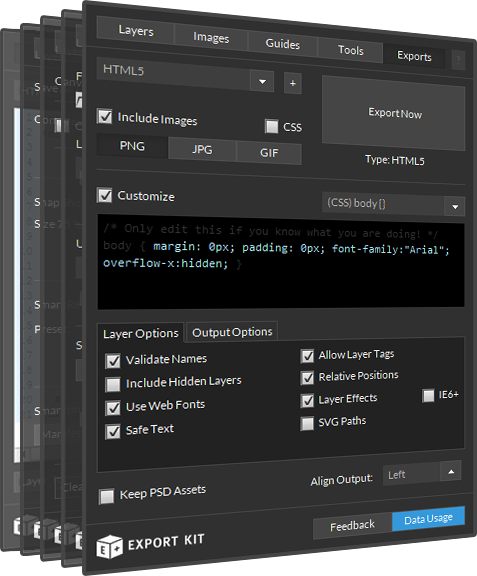 The Layer Process involves translating each Photoshop, Illustrator or InDesign layer into its respective code environment. The Document Process translates your complete PSD, AI or INDD into your selected environment including the Layer Process and additional processing to ensure your output is pixel-perfect. Export Kit will alert you when complete, you can then go to the Export Folder to view your export or to import the working project into Eclipse to compile.